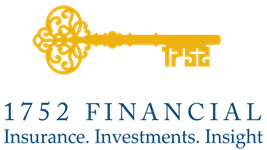 Disability Income Insurance | Matt Brotherton - 1752 Financial, Inc.
Everyone should protect their income and savings against the risk of disability. You have insurance for your home, your car, and maybe even your phone. But the most valuable thing you can protect with insurance is your income. If you become disabled and are unable to work, disability income insurance will provide you with the income you need to maintain your lifestyle and protect your assets. It can even protect your small-business, providing business overhead coverage in the case of a partner or key person becoming disabled. Individual Disability Insurance protects your income in the event that you become disabled. You can purchase a short- or long-term policy, and get coverage for up to 70% of your base monthly pay. When they hear “disability,” many people think of worst-case scenarios, such as permanent spinal cord injuries. But most disability policies are claimed due to heart attacks, back injuries, or even maternity care. If you rely on your income, then you need disability insurance. Business can purchase disability insurance on an individual as a way to protect the business. If you have a small business, practice, or firm in which a partner provides income to cover business overhead expenses, that person needs disability insurance. A Business Overhead Expense (BOE) policy can cover the costs of running your business, including rent, payroll, and even office supplies, which the employee or partner is disabled. A BOE disability insurance policy can be the key to keeping a small business going. Anyone who works needs a disability insurance policy. We can help you understand the differences in policies, and choose the right one to meet your needs. 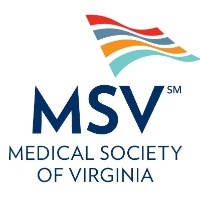 If you are a member of the Medical Society of Virginia or the Physicians Benefit Network, you may be eligible for a discounted disability income insurance policy. See our Solutions for Physicians.